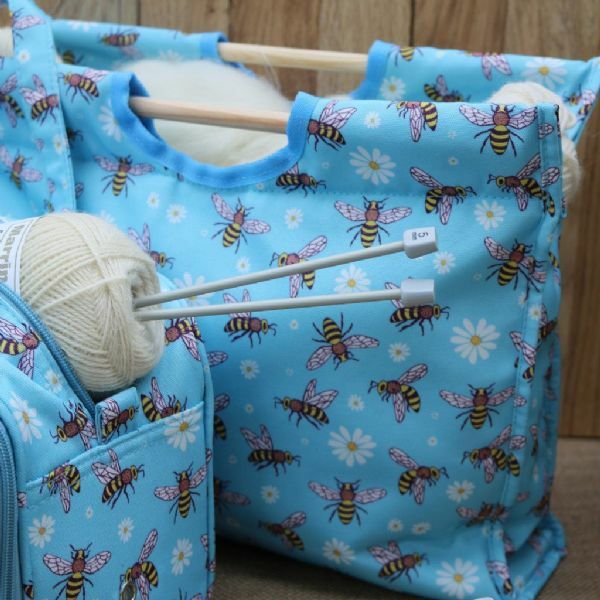 These knitting bags are suitable for all your knitting and sewing accessories. They feature different designs. Zip to close. They also have a large velcro pocket on the outside. Slightly padded fabric, flat base and natural wooden carry handles. Take a look at our video below for a closer look at our craft bags.